Summer last year led me back to one of the most beautiful cities in the world, this time longer than my trip during the previous year. 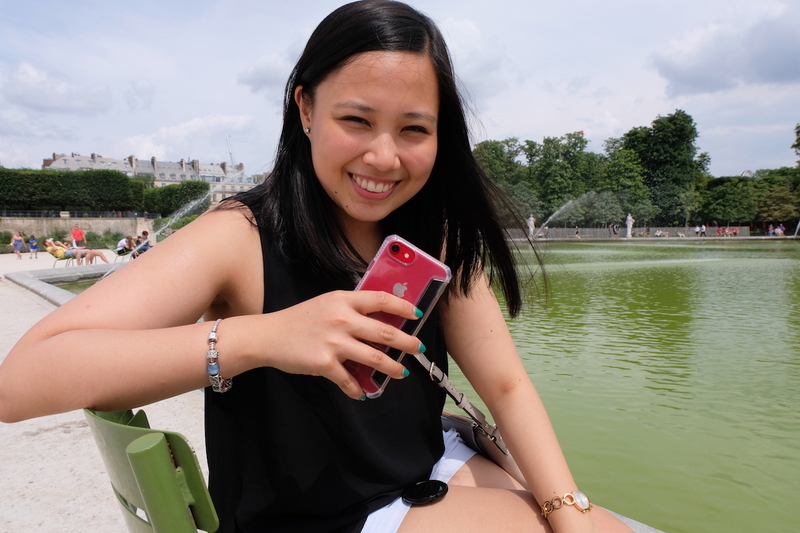 So since more time meant I was able to revisit my favorite attractions in the city, I thought I ought to put this post together about my last and fifth trip to the French capital: Paris. 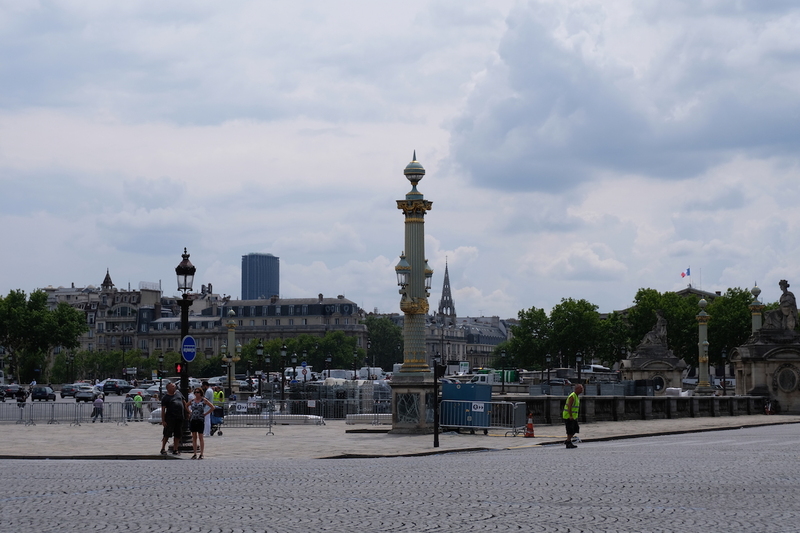 One thing I’d have to mention before proceeding with my list is that I’ve always loved Paris given the fact that you can walk from one place to another, exploring the city by foot; the places I’ll list herein won’t be in order of importance, but will be in an order that will make it possible for you to simply explore on foot, like we did. 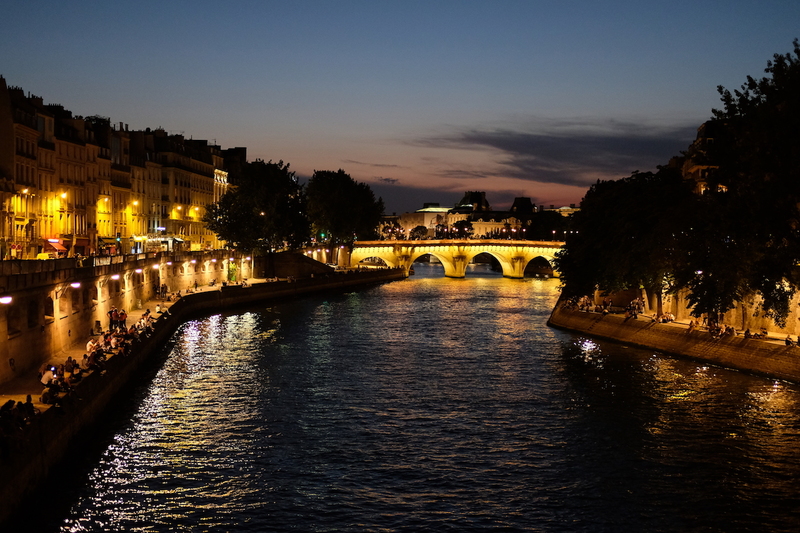 First on the list would have to be river that runs through the city, giving Paris even more character than it already has on its own. 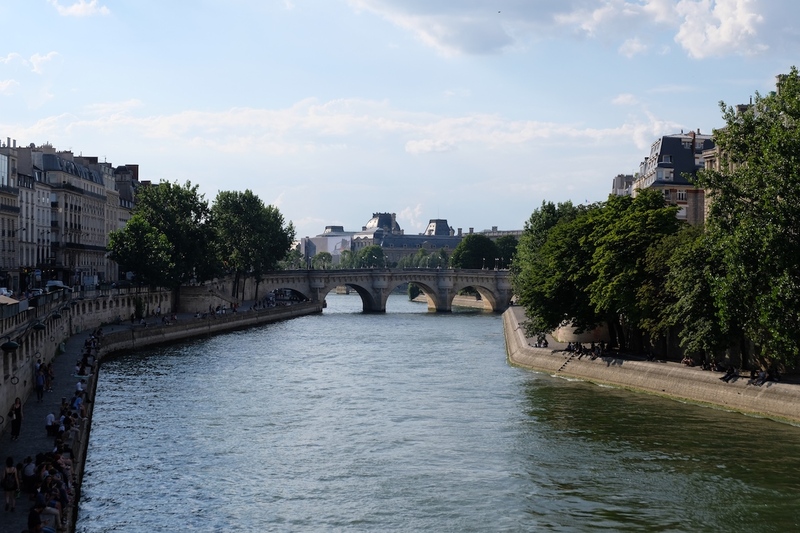 Running for 777 kilometers, the River Seine makes for a gorgeous landscape to walk past, most especially when you’re in the 1st arrondissement. 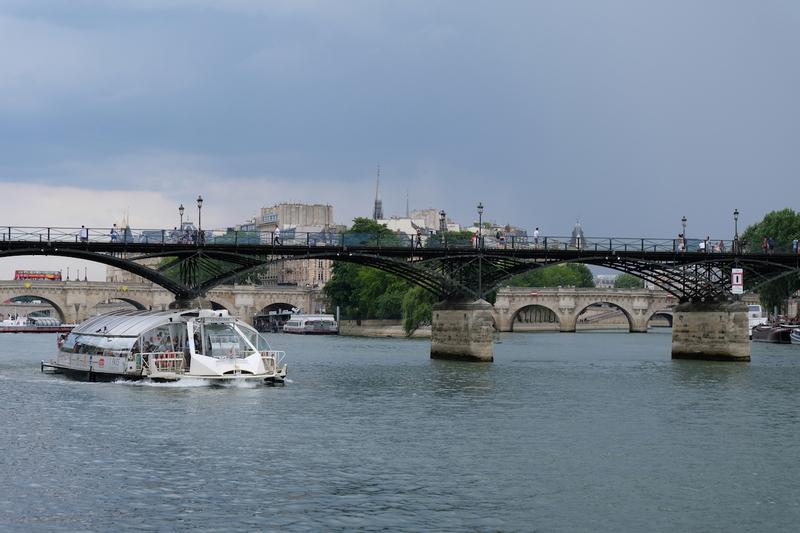 With almost 40 bridges crossing the Seine, it definitely is one of the most romantic backdrops one could hope for. 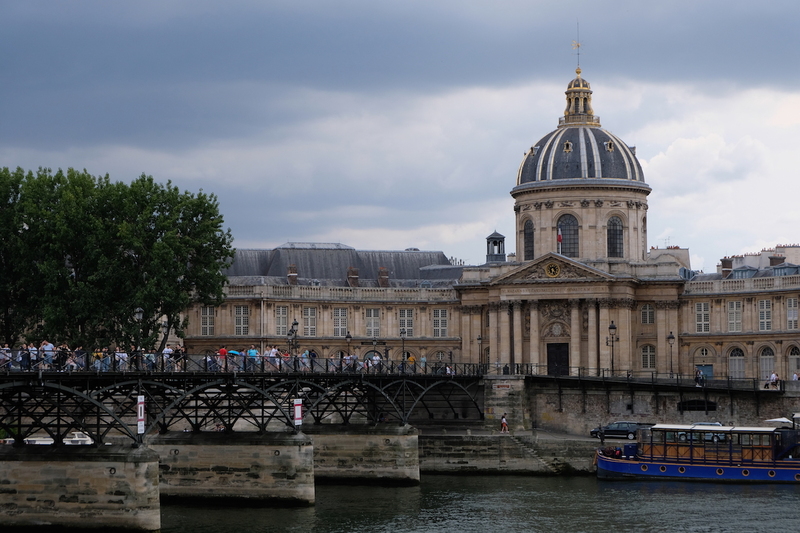 Leading to the next attraction on the list is one of the bridges overlooking the River Seine named Pont des Arts, otherwise known as Passerelle des Arts. More popularly so, it used to be known as the Bridge of Locks, as many couples would put locks therein symbolizing the locking-in of their love forever; the ironic thing is that the locks were actually removed annually given the weight that it put on the bridge had they been left there for years at a time. However, a few years ago, a movement took place to remove all these locks permanently, which is why today, it’s been cleared of any and all signs of locks. 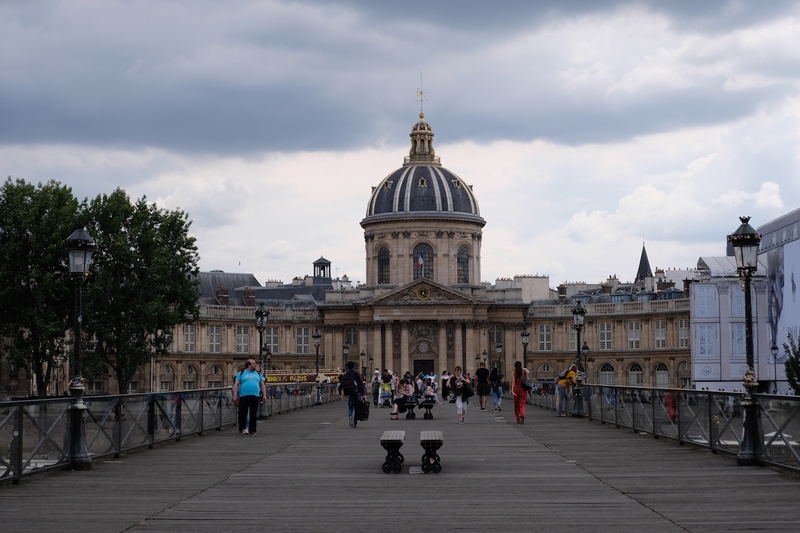 Still, it is a lovely pedestrian bridge to walk across, as it overlooks the city with the River Seine as the main view, leading to the stunning Canal Académie building. 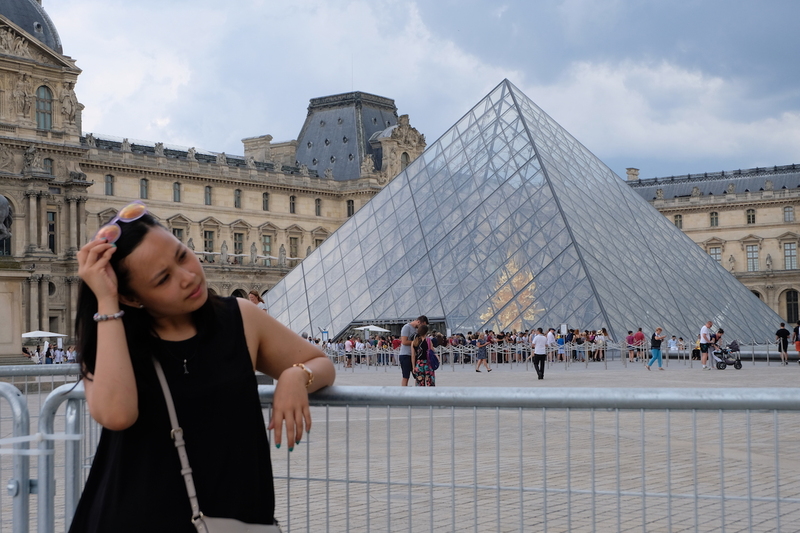 Despite having been to Paris a few times, I’ve never been inside the Musée du Louvre. 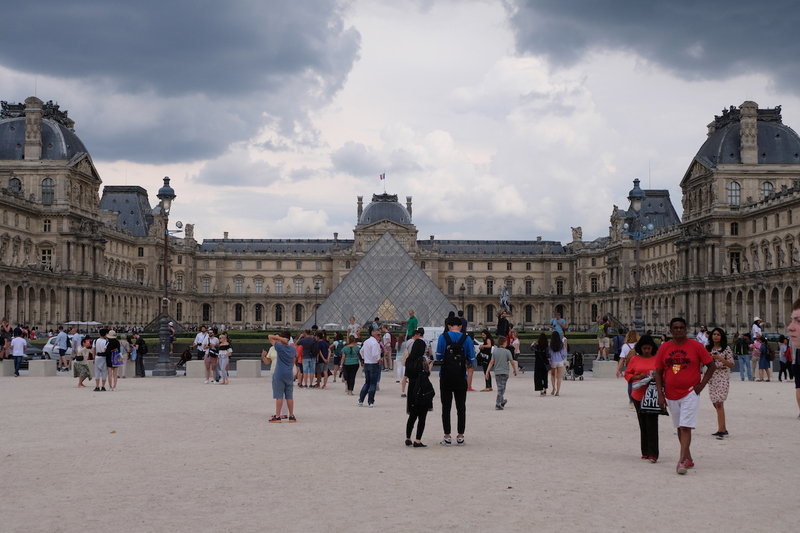 I’m not sure if it’s the long lines that have always made me decide to go in the opposite direction, or simply because each time I’m in Paris, I’d always opt to stay outdoors rather than to be cooped-up inside a museum. 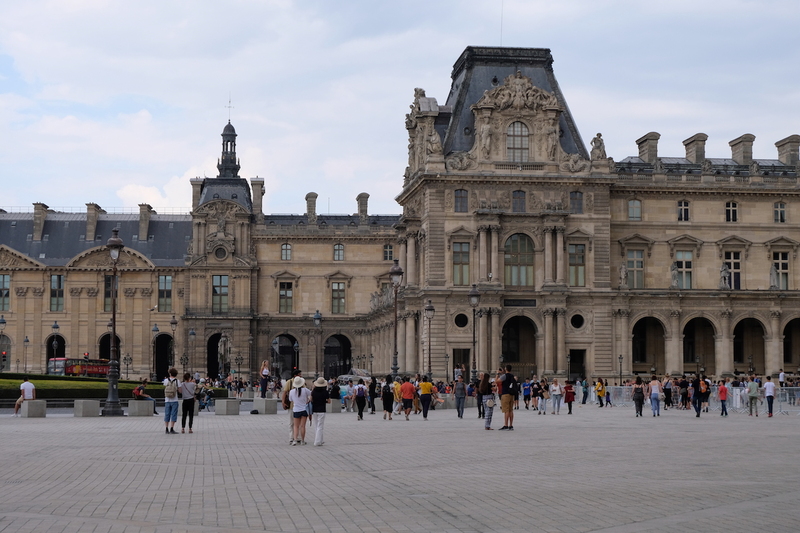 Although my non-interest in visiting the interiors never stopped me from admiring the Pyramide du Louvre, located in the courtyard of the Louvre Palace in Paris, serving as the main entrance to the museum. 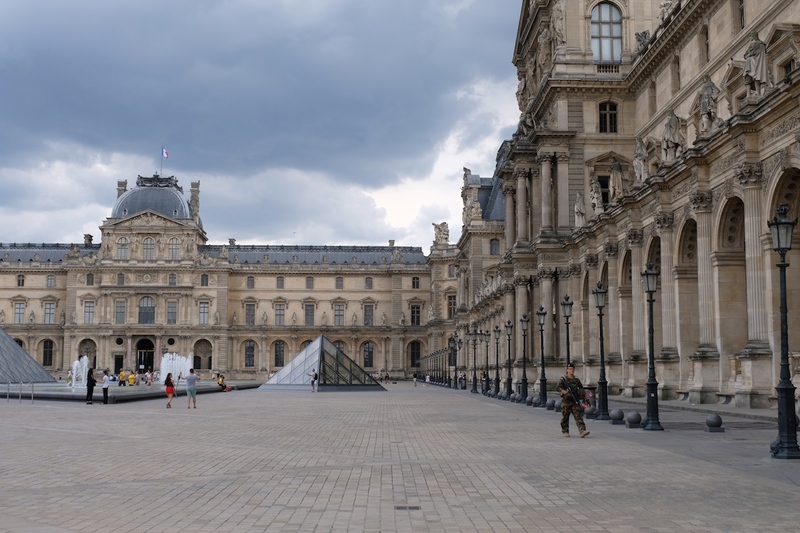 This attraction has always been one of my favorite places to visit in the French capital, not only for the Pyramid itself, but because of the gorgeous architecture surrounding it, making it one of the most beautiful courtyards in the world. 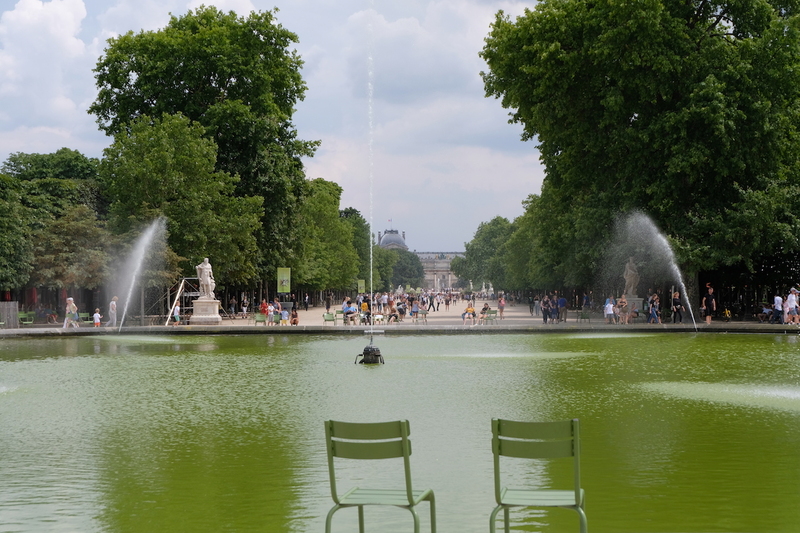 Like I said, Paris has always been a city I’ve enjoyed outdoors, and it’s perfect, as it’s a city with an abundance of parks and gardens. 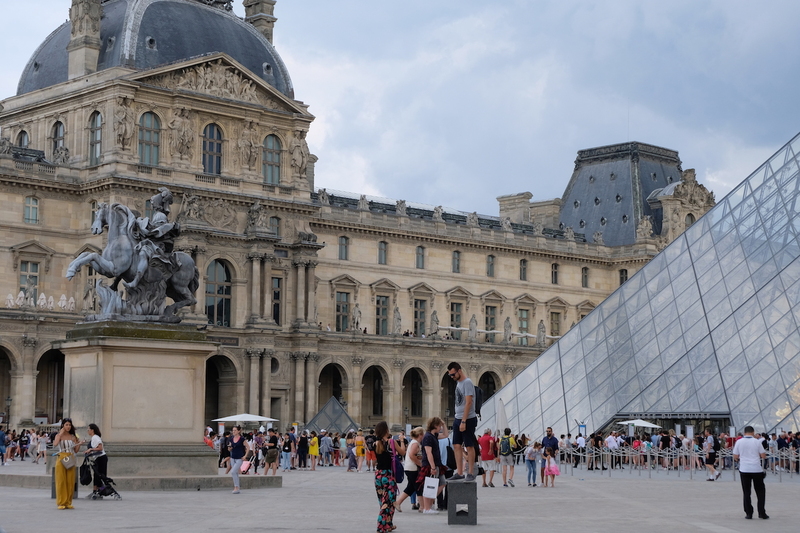 One of which sits right across the Louvre Palace, standing as one of my favorite attractions in the city. 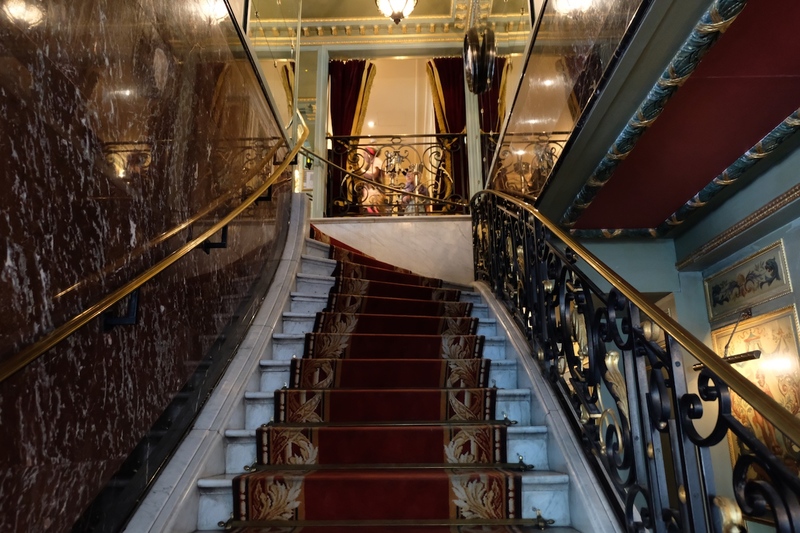 Opened to the public in the mid-1600s, it has grown to be more and more popular to both tourists & locals alike because of the many points of interest, entertainment, and activities you could take part in. 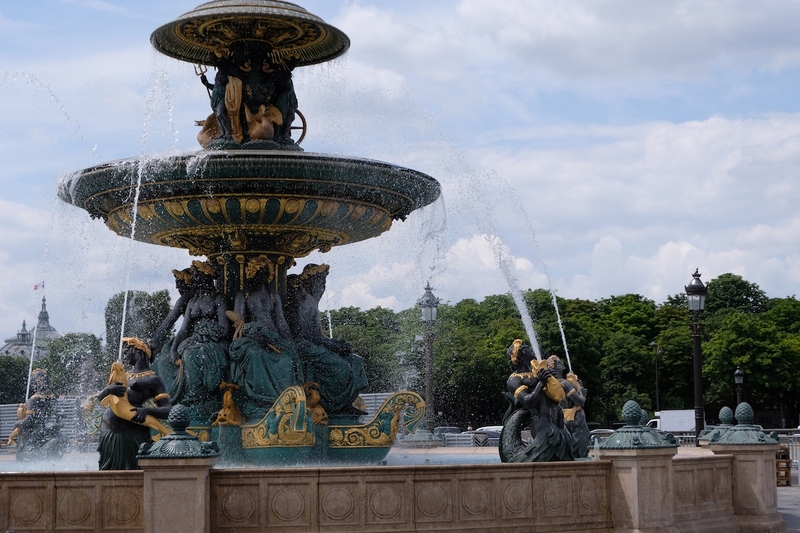 On the other end of Jardins des Tuileries is Place de la Concorde, a public square in the city that spans through 7.6 hectares. 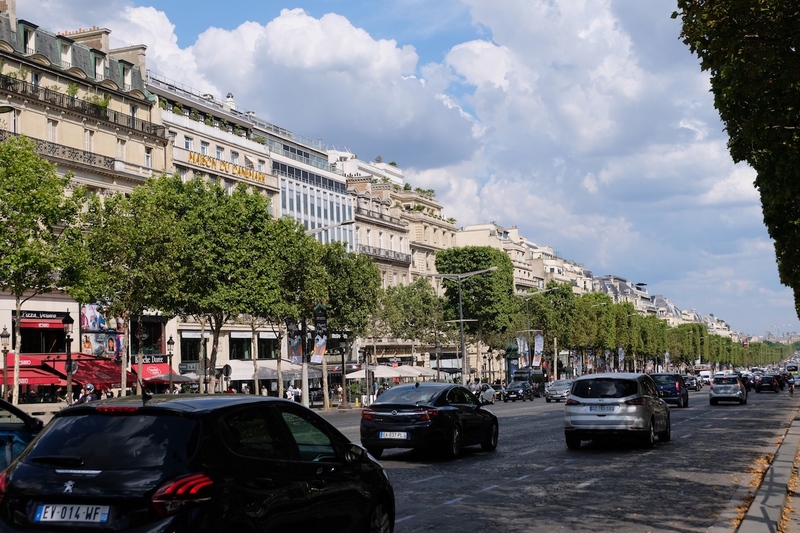 More popularly known in history as the location for revolutions, it now is one of the most iconic squares in Paris, as it is surrounded by some of the city’s best landmarks, making it as a gorgeous vantage point. 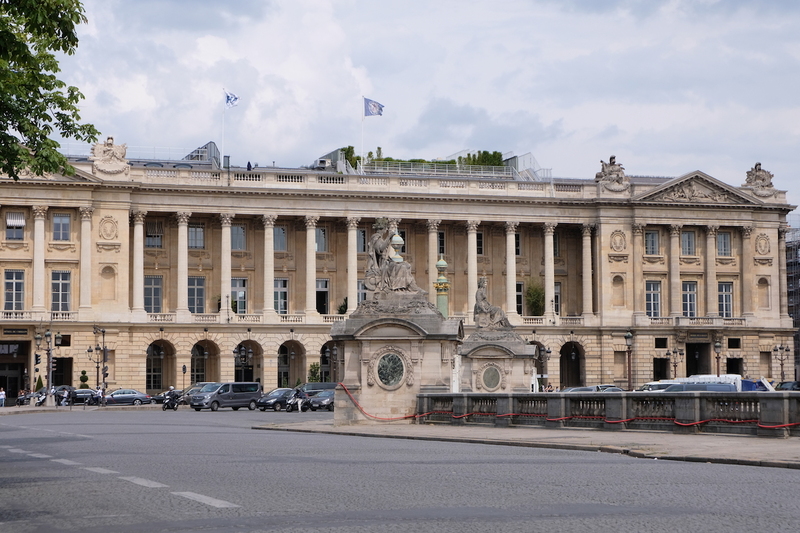 Photos depicted below are of the Fontaine des Mers and the world-renowned Hôtel de Crillon, which hosted the invitation-only Le Bal from 1992 to 2012. 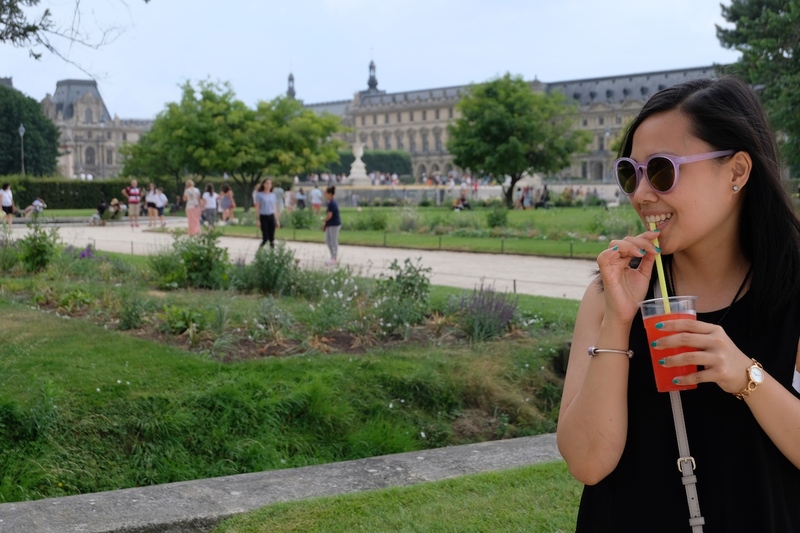 Yet another of the city’s parks that has remained as one of my favorite attractions in the city is Jardins des Champs-Élysées, which sits in between the end of Champs-Élysées and Place de la Concorde. 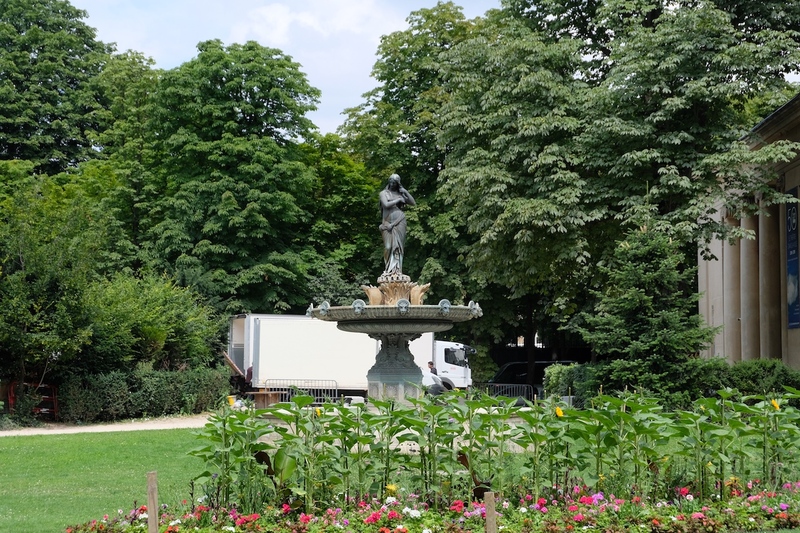 This charming park, though not as massive as Jardins des Tuileries makes for a great morning walk or afternoon stroll, as you take in the Parisian atmosphere. 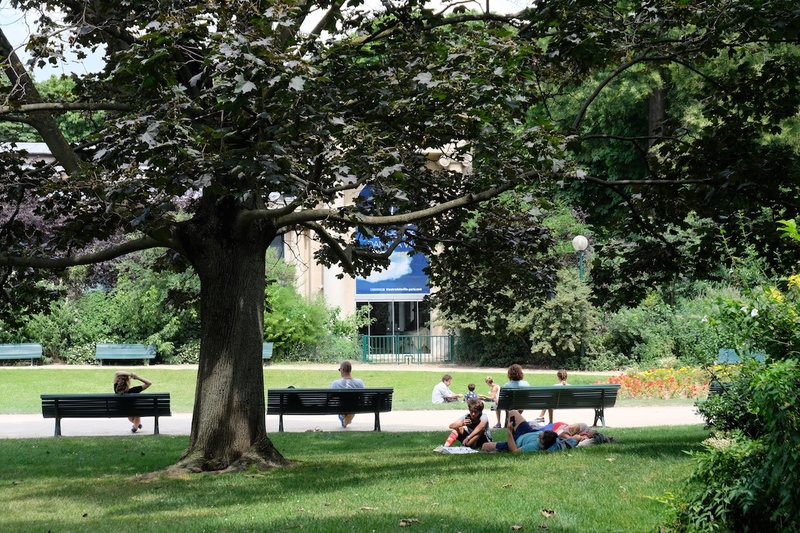 What makes it even better is that there aren’t much people around – take note that we were here on a sunny summer day, yet there were still barely any people around, making it a great place to simply lounge around in, admiring the greeneries and flowers scattered throughout the park. 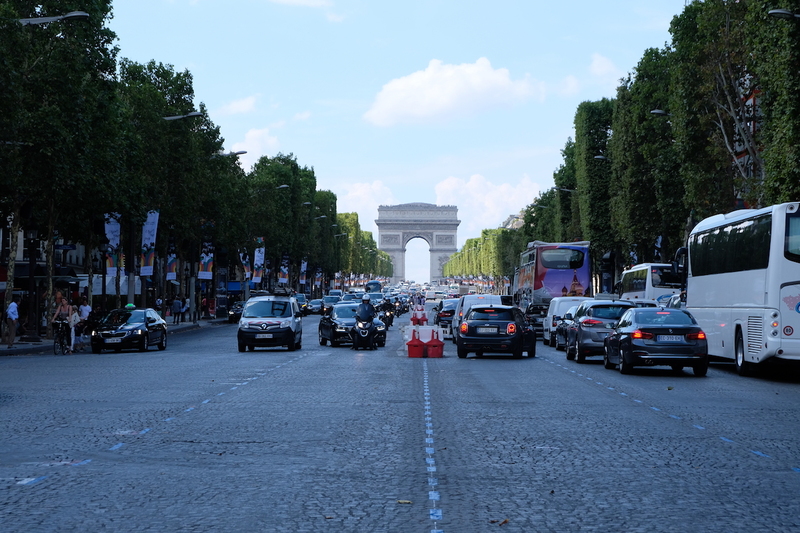 No trip to Paris would be complete without visiting what I deem as the city’s commercial center: Champs-Élysées. 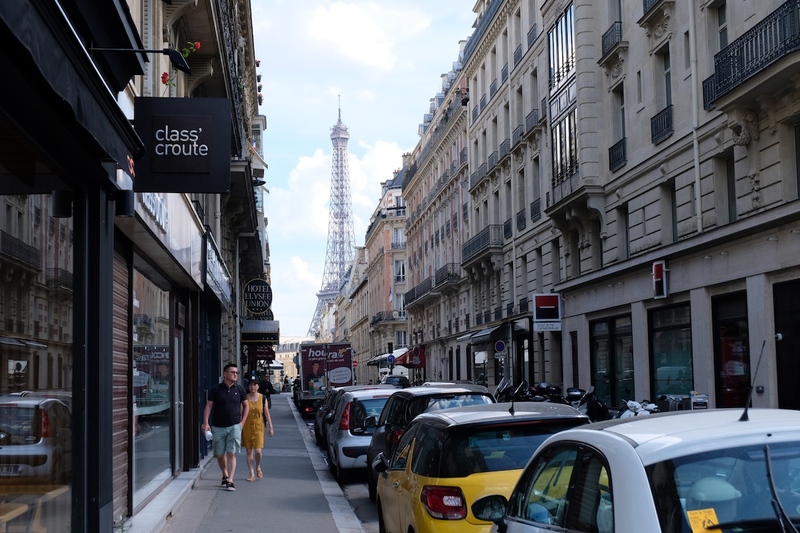 This avenue is where majority of the international brands are – from casual wear to designer names, together with world-class restaurants you could have brunch, lunch or dinner in. 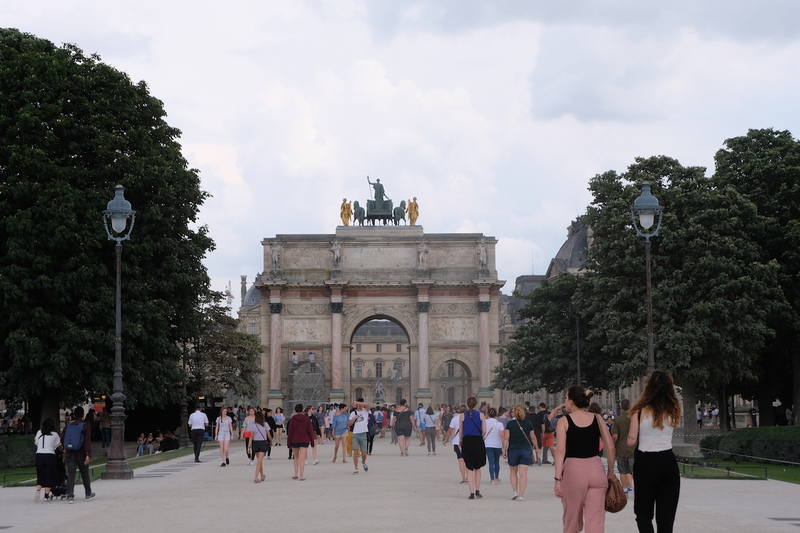 Walking along Champs-Élysées can easily take up your day, with a multitude of things to see and food to eat. 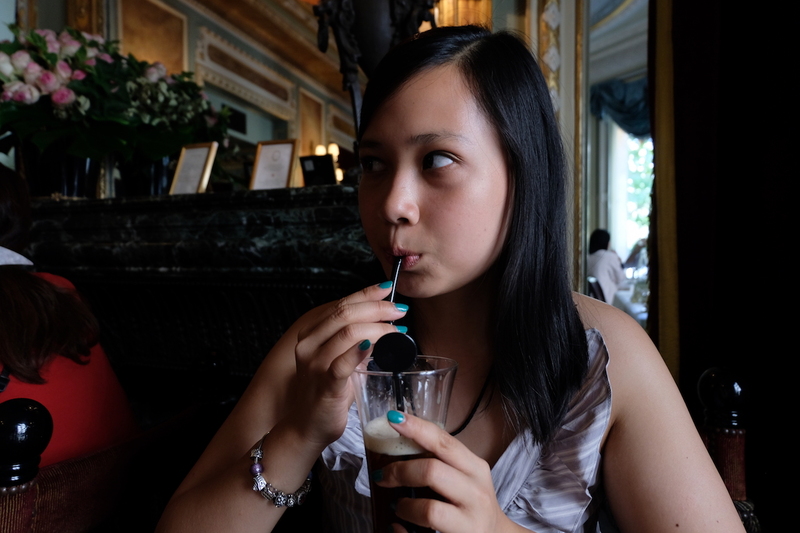 One place, however, that I recommended you try out while you’re there is Ladurée. 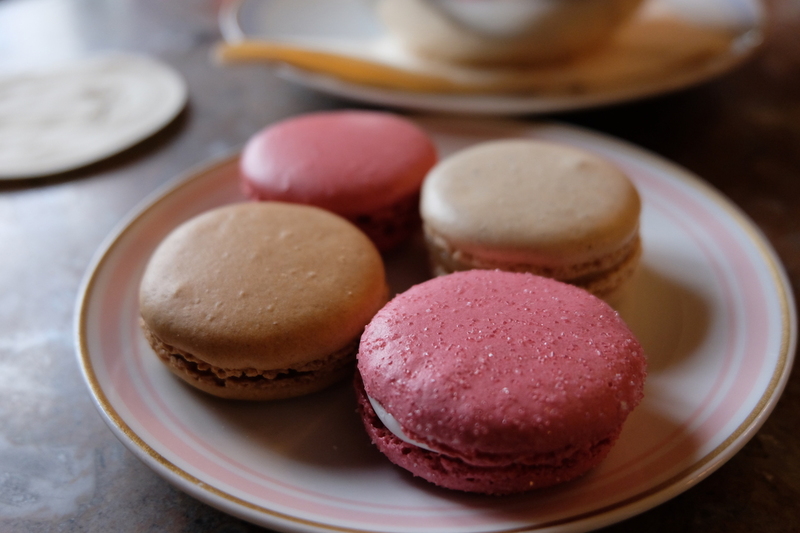 While they already have several branches worldwide, there’s nothing like enjoying a few macarons while having coffee or tea in the middle of Paris. Besides, seeing the interiors is already an attraction in itself. 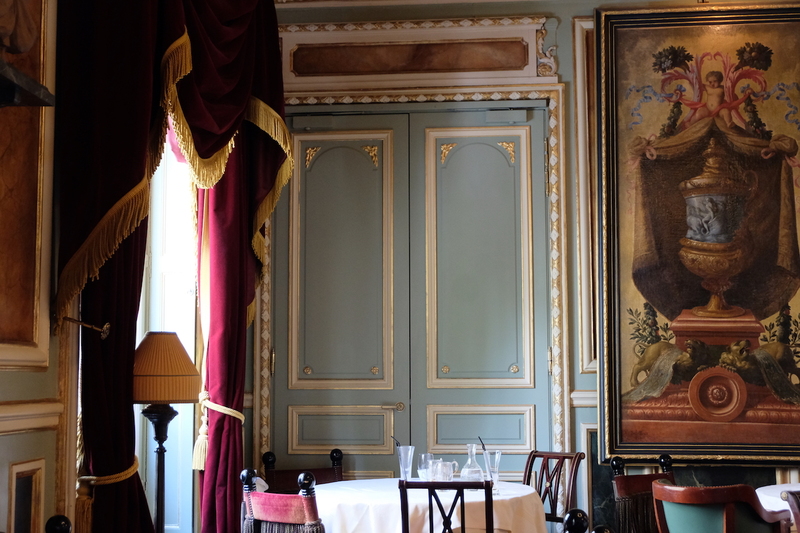 Be prepared to spend a couple Euros though, as it can get pricey dining therein, but surely worth every cent. 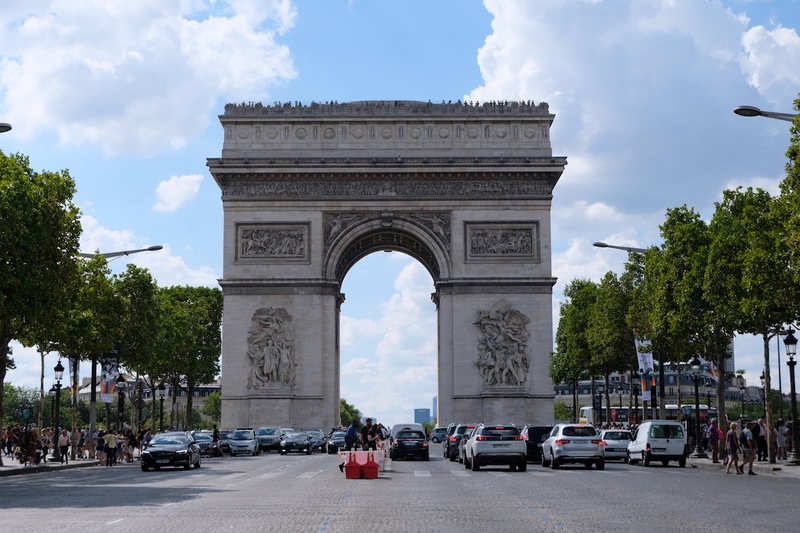 Located at the western end of Champs Elysées is the Arc de Triomphe, one of the most iconic landmarks in Paris. 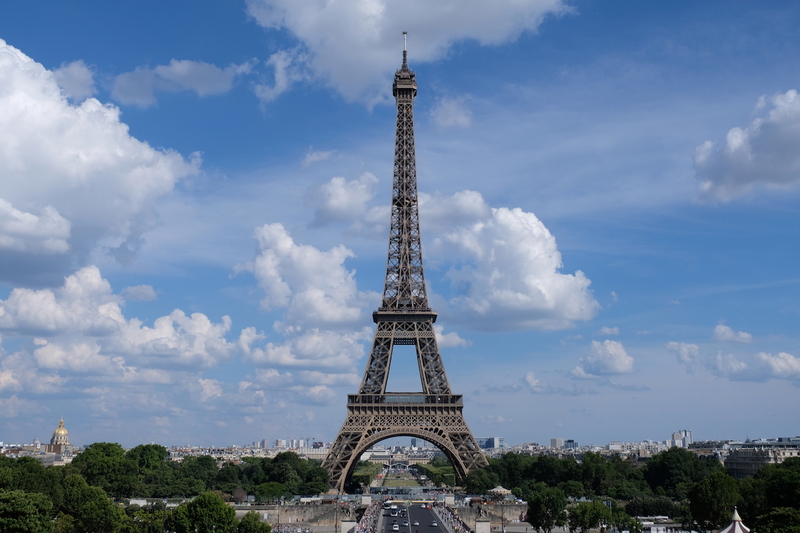 What I love the most about it, aside from the fact that this stunning piece of architecture stands at a height 50 meters, is that there are twelve arterials that radiate from where the landmark sits, and one of which is Champs Elysées. 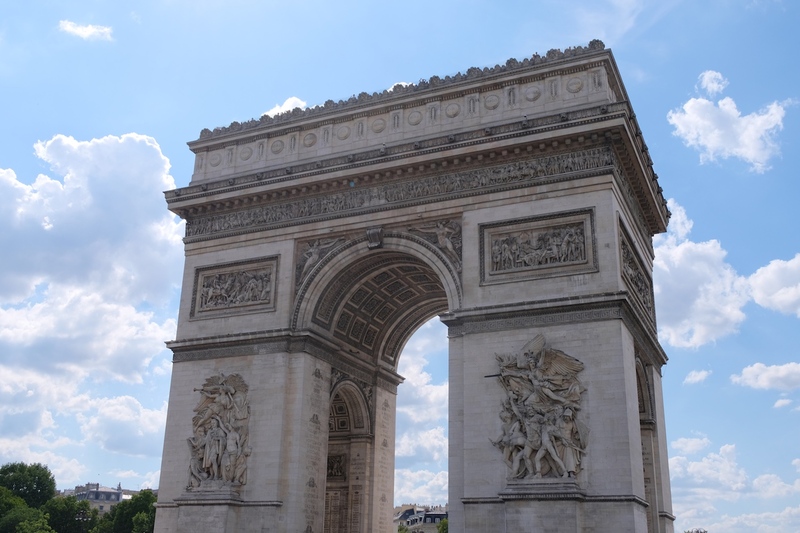 Though I’ve never gone to the top of the Arc, as I’ve always admired it from across the street, I’ve heard that the view is quite breathtaking as well, so if you have the luxury of time and energy, then do go up Arc de Triomphe, as I hope to do so the next time I go back. 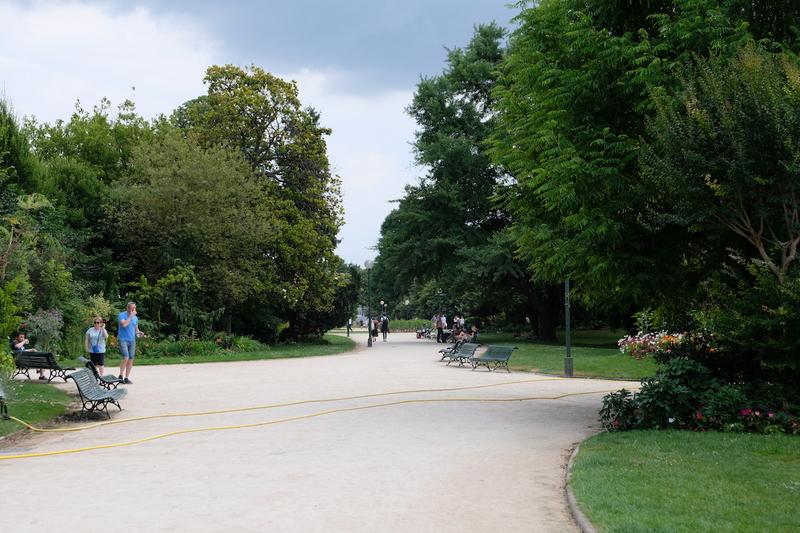 Known locally as Jardins du Trocadéro, the Trocadéro Gardens is located less than two kilometers away from Arc de Triomphe. 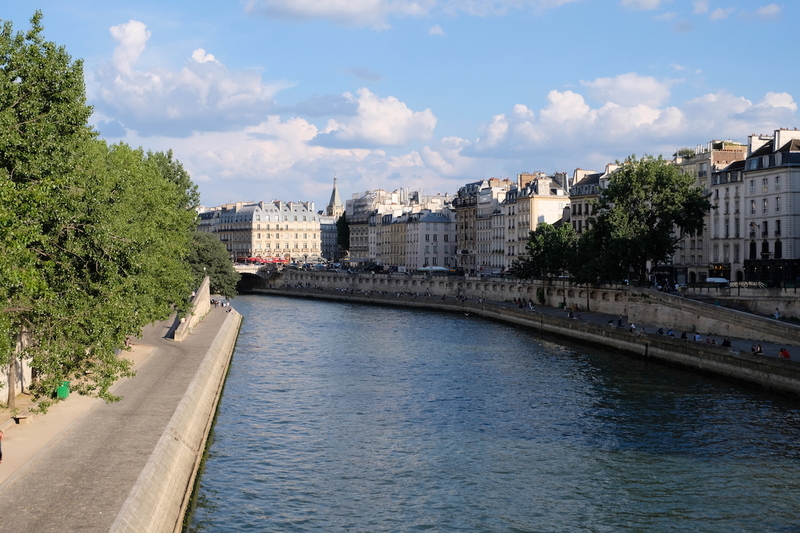 Though it is quite a walk, rest assured that discovering Paris on foot is an adventure on its own merit, so I highly suggest you skip on the metro, and just walk it instead – like we did! 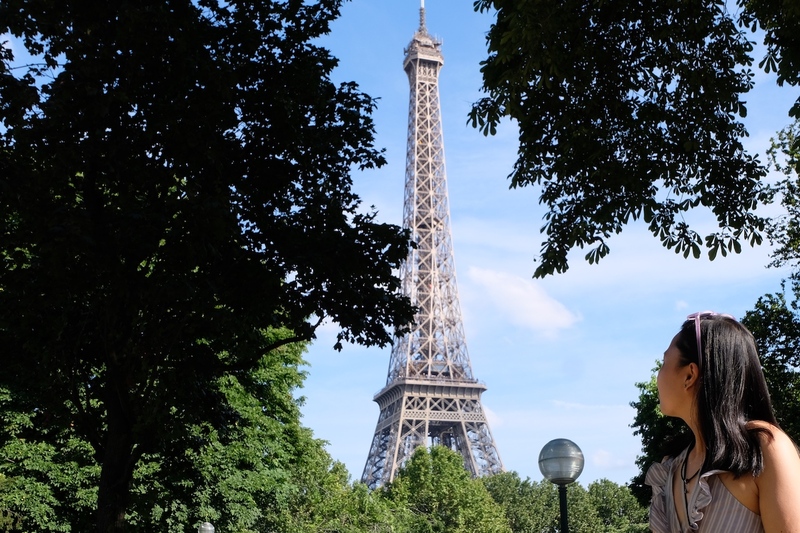 Fronting the Eiffel Tower, the Trocadéro Gardens is this exquisite park situated right in front of the very icon of the French capital. 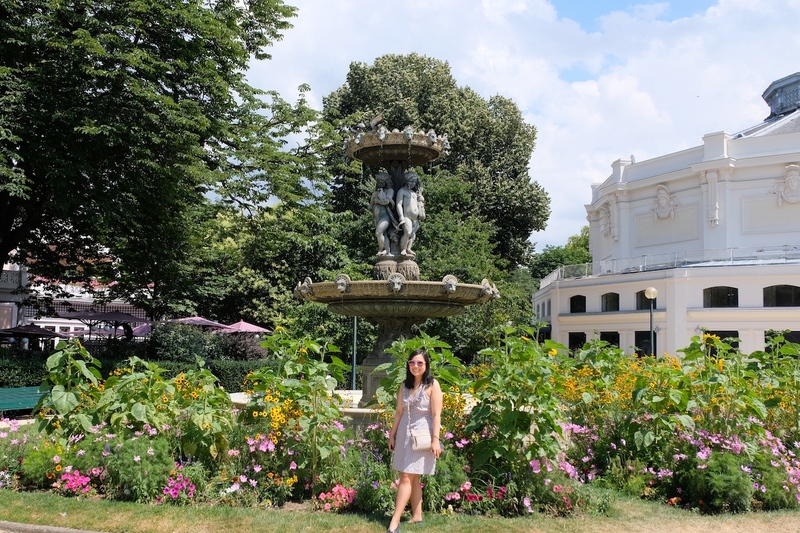 By day or by night, this is a fantastic place to spend a few hours in; during the day is perfect as an afternoon stroll is a great mid-day activity, and during the night is majestic as well, as the city lights up – and so does the atmosphere. 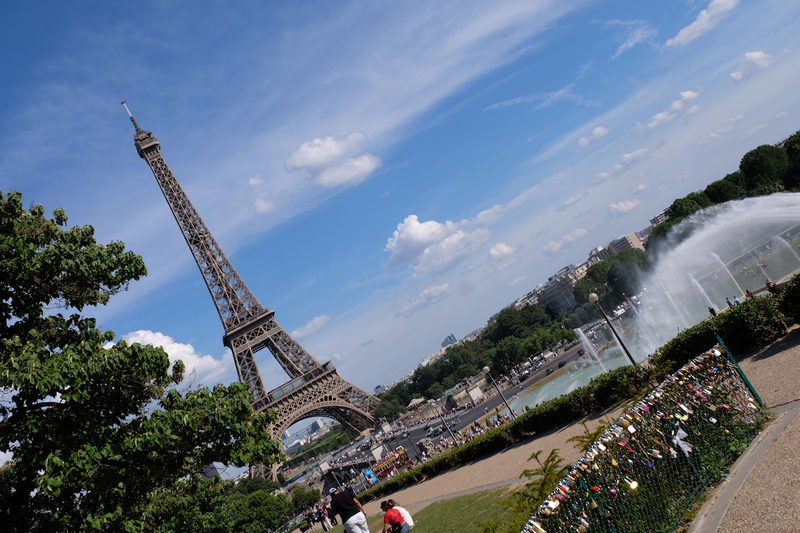 Of course, I couldn’t end this list without mentioning the Eiffel Tower, which is pretty much self-explanatory. This gorgeous piece of work truly is one of the greatest in the world, and must never be missed when visiting Paris. 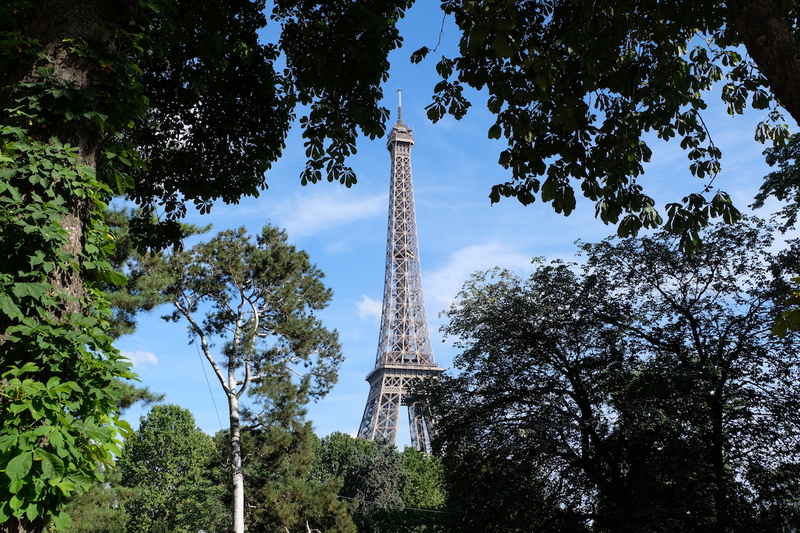 Since I no longer have to further expound on why the Eiffel Tower is a must-visit, let me leave you with this: make sure you visit it both during the day and at night. It is one thing to see it in the day, but another thing when you see it as it lights up and even sparkles at night. 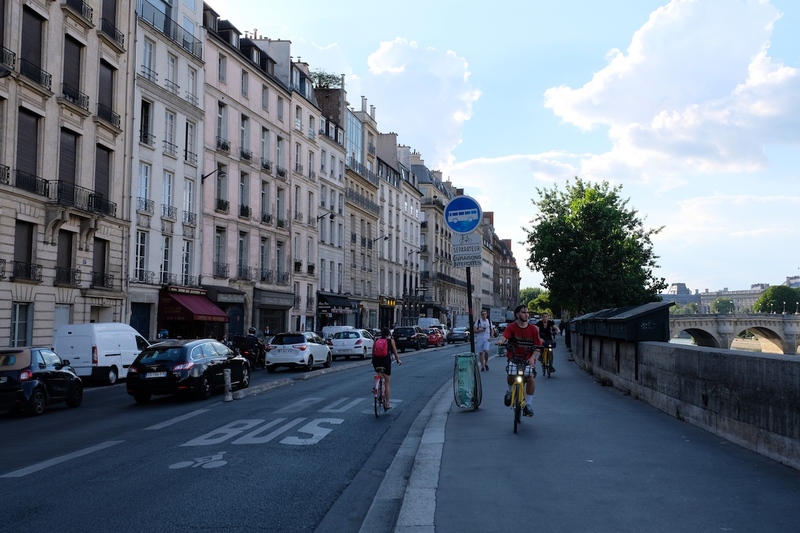 Obvious as it is, I have loved Paris ever since the first moment I laid eyes on the city seven years ago, and to this day – after five visits, I still haven’t gotten enough of it. 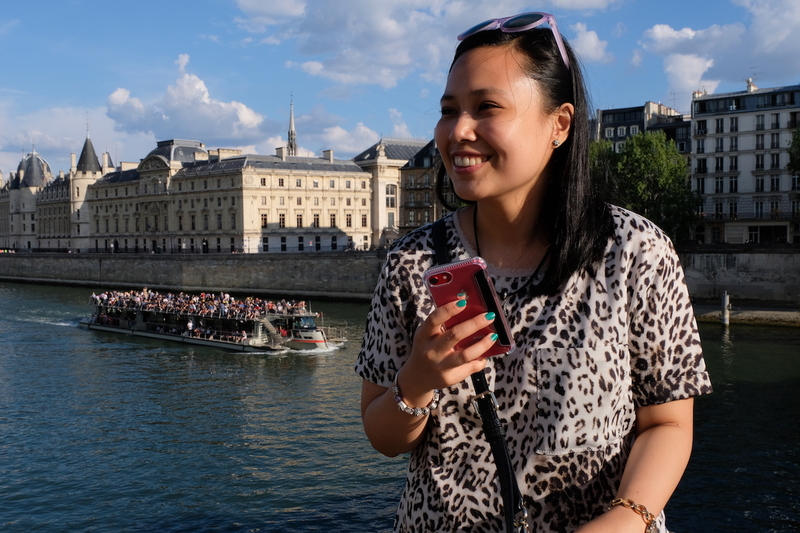 While those I’ve listed above are my current favorite attractions in Paris, I feel like going back would to allow me to add even more favorites the list. 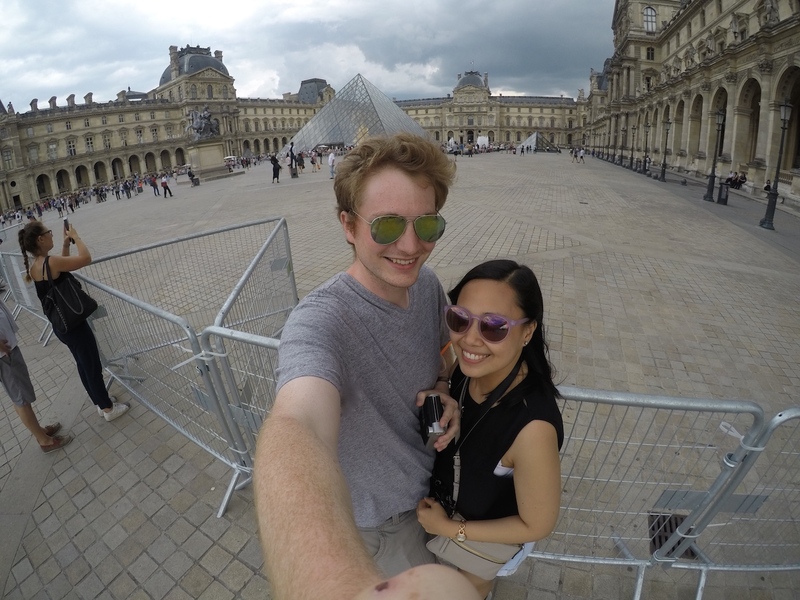 As I’ve said before, Paris is one of the cities that though you might’ve seen much of, will leave you wanting more.